A great tool for hunting. 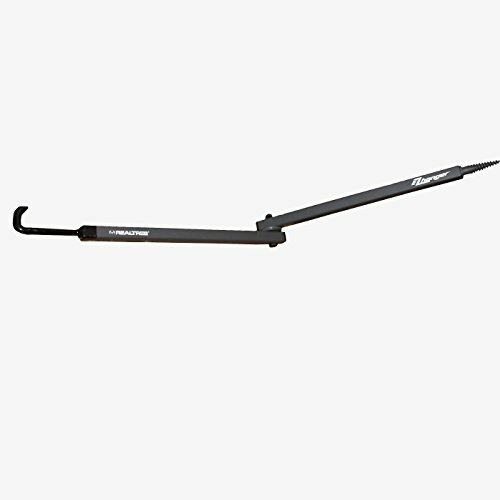 The Team Realtree 22 3/4-Inch EZ Hanger is a multi-purpose tool that easily screws into a tree to help you keep your bow and all your gear within arm's reach. Great for in the tree, at the campsite or at home. Features the Team Realtree logo. This is a multi-purpose tool for hanging your binoculars, calls, or even a useful tool for your house plants. Swivels for easy access. Provides easy access to your hunting and archery hunting needs. If you have any questions about this product by Team REALTREE, contact us by completing and submitting the form below. If you are looking for a specif part number, please include it with your message.